The BEST WESTERN Greenfield Inn surrounds you with its distinctive Victorian architecture, and old world charm while offering the modern day conveniences you have come to enjoy and expect. Free high speed internet access allows you to stay connected. Premium cable including an HBO and Cinemax package will keep you informed and entertained. Our fitness center will allow you to keep your daily exercise routine, and our full size indoor swimming pool and dry sauna will take the edge off any day! We are a full service hotel offering Mugly’s Food & Spirits for breakfast, dinner, take out, and room service and the lounge is the place to meet for quiet conversation, the big game, or to relax before or after dinner. 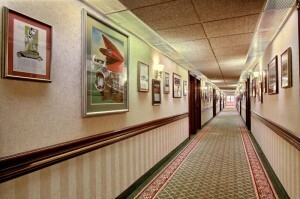 The combination of service and old world accents provides a distinctive lodging experience you are unlikely to forget! 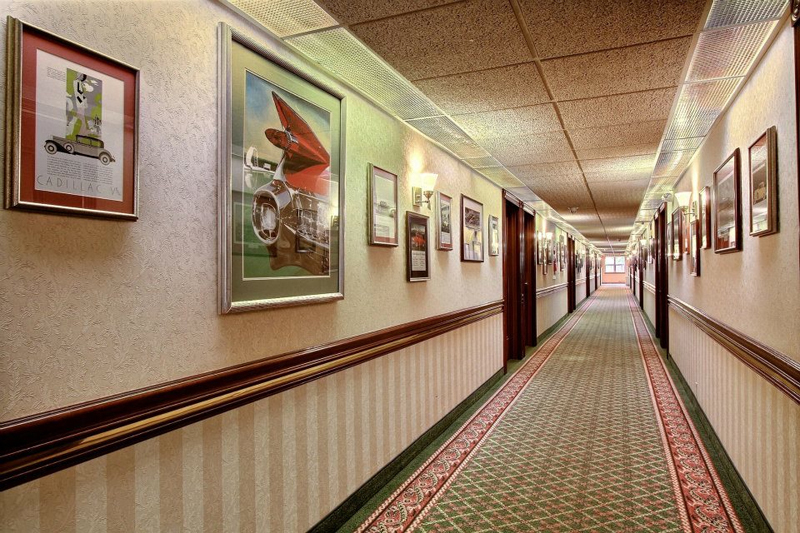 The BEST WESTERN Greenfield Inn is in Allen Park, directly off Interstate 94 at Exit 206, Oakwood Boulevard. We’re located just minutes from Ford Motor Company’s World Headquarters, the Henry Ford Museum, Greenfield Village, Ford Rouge Factory Tour, IMAX Theater, and other Dearborn attractions. 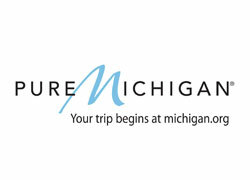 We are 9 miles from Detroit’s Metro Airport, and less than 15 minutes from Downtown Detroit, General Motors World Headquarters, Comerica Park, the Fox Theatre, Cobo Convention Center, Joe Louis Arena, and four major casinos. Windsor, Ontario, Detroit’s Canadian sister city, is only a short jaunt across the river. WELCOME HOME and thank you for your business! We have over 600 auto-inspired prints!